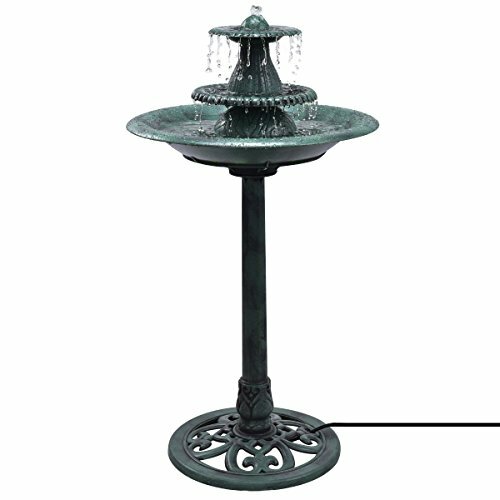 Giantex 3 Tier Fountain Garden Outdoor Decor Pedestal Bird Bath Water Fountain W/Pump | Fountain City Art Ctr. Giantex 3 Tier Fountain Garden Outdoor Decor Pedestal Bird Bath Water Fountain W/Pump by Giantex at Fountain City Art Ctr.. MPN: OP3358. Hurry! Limited time offer. Offer valid only while supplies last. Description It is our Giantex exquiste 3-tier bird bath fountain that is characterized by its long-lasting construction and resin verdigris finish.